L’essor des boissons exotiques au XVIIIe siècle | One quality, the finest. Introduced into Europe for their therapeutic and medical properties, tea, coffee, and chocolate were also the center of social life in polite society. Because they were imported from outside of Europe, the cost of the beverages was commensurately high. They were goods of luxury and status, as were the goods needed to prepare and serve them. 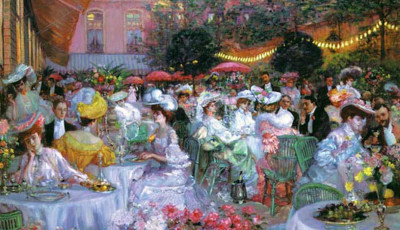 And they weren’t only consumed at home; they gave birth to European café society where women were allowed to socialize in public. They gave rise to new traditions, like breakfast and tea-time. The exhibit has three themes: The Virtues and Dangers of Exotic Beverages; Circles of Consumption; and New Services. Works by Boucher and Chardin showing people enjoying their chic beverages illustrate lifestyle created by these exotic beverages. Just writing about this has made me want to go make a nice cup of something hot. 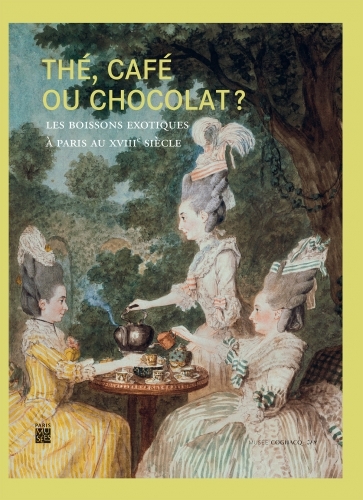 This entry was posted in Art, Events and tagged Boucher, Café ou Chocolat, Chardin, L'essor des boissons exotiques au XVIIIe siècle, musée Cognacq-Jay, Thé. Bookmark the permalink.